A significant number of inquiries about our bows come from compound archers who have had their appetite whetted by a friend who shoots traditional. Or, they often have lost the sense of challenge, or perhaps they’re ready to achieve a longtime goal of harvesting game via truly instinctive shooting. Whatever the reason, we’re always happy to help ease the transition. 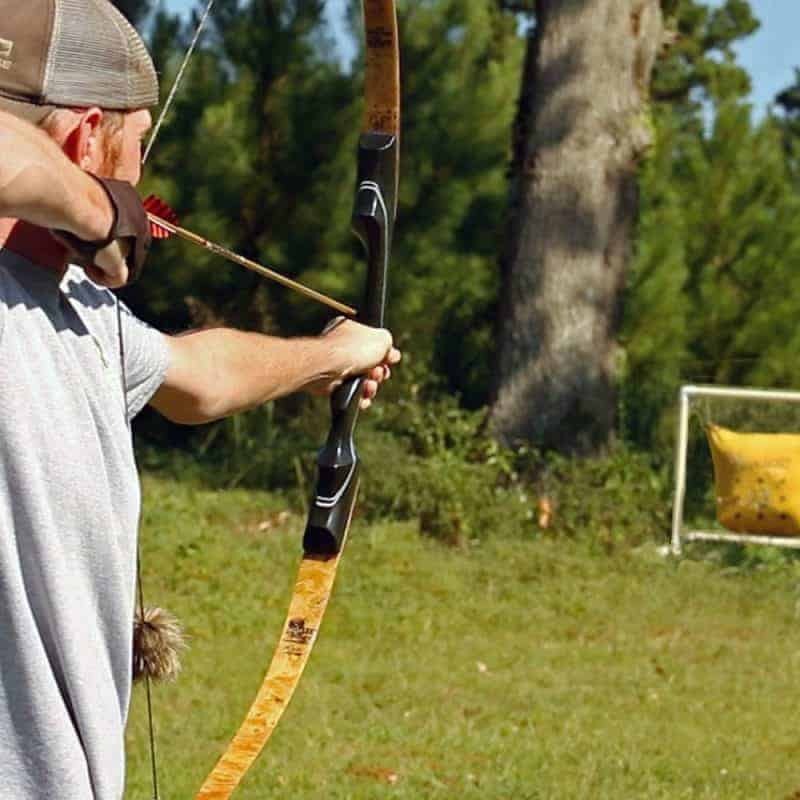 At Bob Lee Archery, we believe that anyone can become skilled with a traditional bow through fundamental shooting techniques — and practice. The traditional bow has seen a resurgence in popularity in the past several decades. Obviously, we are biased, but we believe the sense of accomplishment felt by an archer who hits his target is unlike any other sensation. The feeling of stored power, the reaction of the bow and the thrust of the shot are all components of the experience that has made traditional archery a passion for the multitudes for countless eons. And with reliance on our innate skills and coordination, the thrill of instinctive shooting is derived from its simplicity. It just “naturally” feels good. We also believe there’s an “intimacy” with traditional bows that may be missing from the compound bow experience. But again, we’re biased. Making the transition to traditional equipment can seem like a daunting and overwhelming process, but many of the questions are the same with any of our customers. Recurve or longbow? What kind of draw weight do I need? How do I find my true draw length? What’s the benefit of a takedown bow? Will you be using the bow primarily for hunting? And if so, will it be large game (elk, moose, caribou, etc.) or mostly whitetail or mule deer, or feral hogs, perhaps? Or, will you also be target shooting or competing in archery tournaments? This will help determine the poundage needed for your bow and also whether you might consider a second set of limbs in a lighter or heavier weight for your needs. We’ll discuss recommended weights for game or target applications. We will also share our preferred method for measuring your TRUE draw length — a number that is critical to choosing the best bow. You might want to consider your transportation requirements, handling, and shooting applications (shooting from an enclosed blind or tree stand versus tournament shooting, etc.). These factors might make a short bow more appealing, but again, we would want to discuss your draw length to see if a short bow would work for you. The look you choose for your Bob Lee Bow is purely preferential, although there are materials that we use in certain models that serve as performance-enhancers. We can provide suggestions regarding the profile, handle wood, limb veneers and glass, and embellishments for your bow, and what the benefits and differences are among each. We discuss these topics almost daily with newcomers to traditional archery, and we enjoy visiting with our customers one-on-one to help in the transition process. If you are interested in making the switch to traditional with a Bob Lee bow, call us at 903.586.1877, Monday through Friday, 8 to 4 CST. We look forward to visiting with you and hope we can induct you into the family of traditional archers! Category: Selecting a Traditional Bow, Traditional Archery | Bookmark this page.